Increase your cash flow by locking out no-pays and slow-pays! You can be sued when anyone tampers with your tanks. 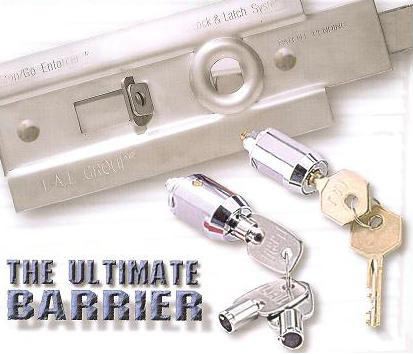 Jones v. Centerpoint Energy, July, 2011: any device that can be opened with ordinary household tools could not be considered a locking device. Potential Damages--$11M, after Centerpoint was held 50% liable. 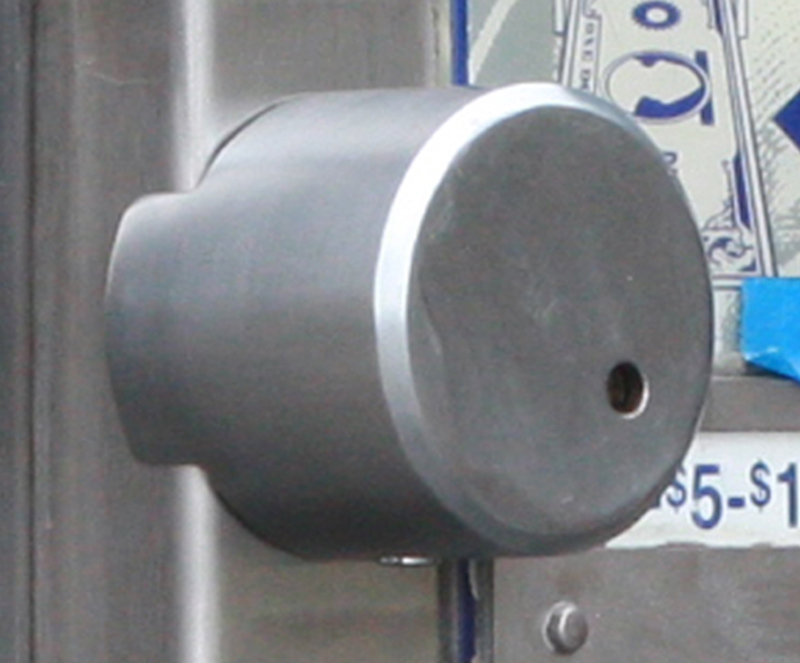 Empire Gas v. Mauck, June, 2015: A red caution flag was placed on the tank warning of the danger, and prohibiting unauthorized persons from tampering with or removing an unsecure outlet plug device. The court added: …Whether Empire Gas exercised the requisite degree of care and caution in light of all the circumstances is a question best suited for a jury or fact-finder to decide. Empire appeal for summary judgment against plaintiff denied--Case returned for trial. Get your own registered key with over 60,000 usable codes. 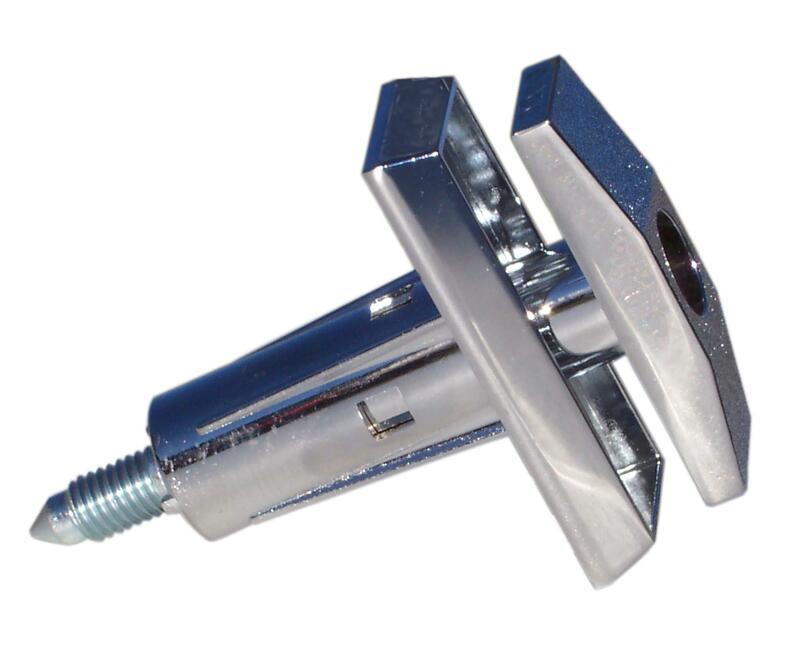 Same key and code for Fill Valve, POLock and padlocks. 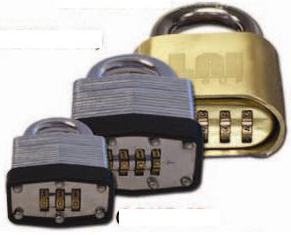 Backed by Lock America’s three decades delivering access point security to dozens of industries. POLock — Prevent unauthorized reconnections and tampering. Machined brass plug and brass slip ring flush mounted to stem. 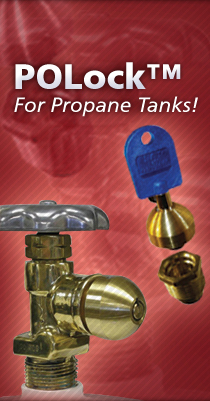 Lock America POLock also prevents theft of propane retail exchange tanks. 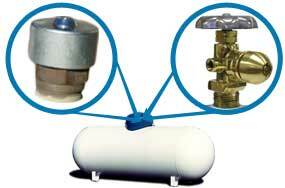 Thefts of exchange propane tanks had been a "under the radar crime" until recently. These three incidents suggest that it may be time to secure your tanks with more than just a padlock on a cage. TUALATIN, Ore. (KOIN) - Tualatin Police are investigating two recent thefts of propane tanks.The first tank was stolen from a truck parked near SW Bridgeport Rd. The second theft happened at the True Value Hardware store located on SW Nyberg Rd. near SW Boones Ferry Rd. Police say nine tanks were stolen from a secure storage locker in front of the store.Police are concerned the thefts are related to the manufacturing of hash oil. KANSAS CITY, MO - Many are on edge after several law enforcement agencies notified the FBI about bulk purchases of cell phones at Missouri Walmarts. Now, another incident has some worried about terrorism. 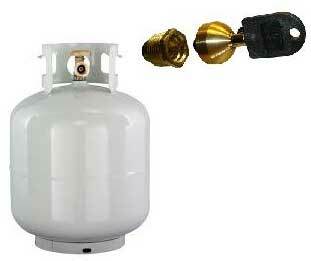 A large number of propane tanks have been stolen from several locations near Kansas City. WDAF-TV reports that a BP gas station in Lee's Summit had 18-20 tanks stolen from outside cages last month. A CVS reported the same crime on the same night. Two weeks later another CVS in Independence was hit and 28 tanks were stolen from that location. December 2015. 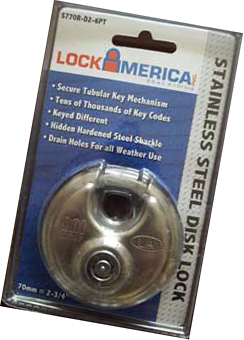 The Lock America POLock is the only lock on the market that is designed to secure the valve of exchange tanks. 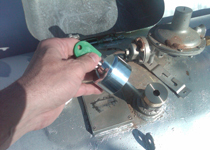 The operator simply removes the lock for a sale or rental, and places the lock on a new tank. The tank is useless to a thief. "If they can’t use it, they won’t steal it." 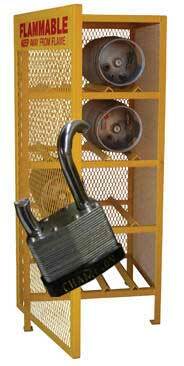 Padlocks can be picked or cut, and cages can be easily broken into. 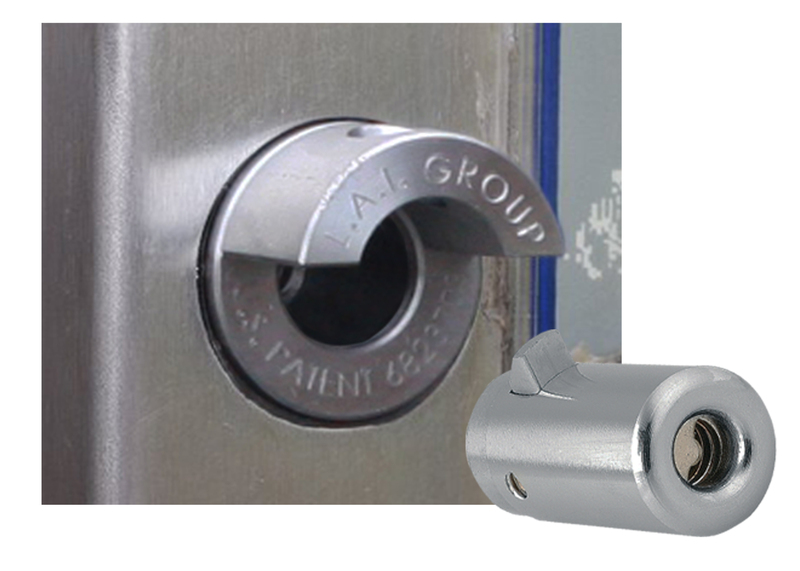 The only way to protect your business and the public is to secure each tank with a reusable lock, keyed specifically to your business. 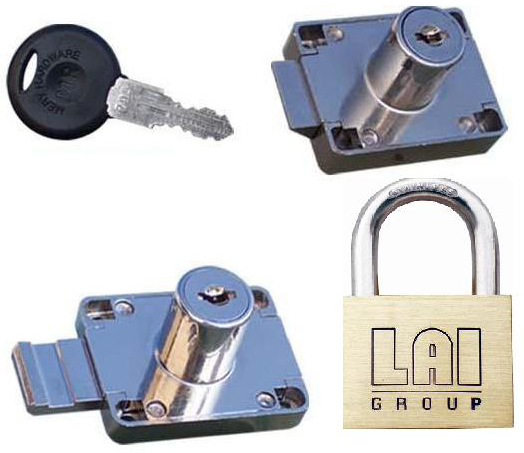 Contact Lock America or your distributor to learn about all the lock options for your propane business, including a Key Control Program that keys all your locks, including truck locks, gate locks and tanks, all to the same key code.